The smartwatch market's fate rides on the Apple Watch. If it fails, it could have as devastating an impact on smartwatch sales as Google Glass has had on smartglasses. That's according to a report research firm IHS released on Thursday. "Apple's smartwatch competitors need the Apple Watch to succeed," said Ian Fogg, senior director of Mobile & Telecoms at IHS, in a statement. 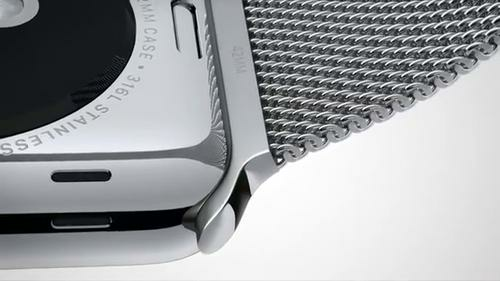 Conversely, if the Apple Watch is a hit with customers, its widespread adoption will help all smartwatch makers, including those running Google's Android Wear, in part because the Apple Watch may be too expensive for a segment of buyers. Prices for the smartwatch start at US$349 and the device must be paired with a modern iPhone, a potentially expensive outlay. Smartwatches that run Android, by comparison, are sold at a variety of price points, which may appeal to the about 2 billion Android smartphone owners, and to Apple customers who want a more affordable smartwatch. IHS predicts the Apple Watch will be successful, calling for 19 million units to ship this year, representing a 56 percent share of the smartwatch market. In comparison, 720,000 Android Wear devices shipped in 2014, according to research firm Canalys. However, IHS doesn't expect Apple to maintain its stronghold on the smartwatch market. By 2020, Apple's market share will decrease to 38 percent as more smartwatch makers enhance their devices and court Android users, a market that Apple doesn't address, IHS said. Adding iPhone support to Android Wear, an option Google is reportedly pursuing, would help spur even more sales of Android smartwatches, the research firm said. Overall, smartwatch shipments will hit 101 million units by 2020, up from 3.6 million units in 2014, the report said. The Apple Watch and the Android Wear smartwatches will benefit from their respective app ecosystems, while smartwatch vendors that use other OSes will over time struggle to attract the attention of app developers and their sales will consequently suffer, according to IHS.